I was recently approached by a representative of DROPPS to test their unit dose household cleaning pacs... mostly laundry focussed. I thought about it for some time before agreeing... talking laundry on my fitness blog... does that make sense? But I realized that we all have to do laundry occasionally, or a LOT! Laundry is not my favorite chore... not my favorite thing to dwell on at all. I will let the laundry pile up for weeks, picking out items to handwash and line dry so that I don't have to visit the laundry room and do the big job.... but I did think about it. I thought about how often I wash workout gear... shirts, sports bras, capris, and SOCKS, not to mention the mountains of towels we go through. I would be silly not to want to try out a new product that offers to make one of my least favorite chores easier. And I was told that DROPPS are great for workout clothes because they don't contain any harmful additives that can clog the fibres in my clothes like other detergents. So I agreed to test the products, and chose the Scent + Dye Free/Sensitive Skin Trial Kit to try, and several days later it arrived. It was a few of days before I was ready to face a couple of loads of laundry again, and I read through the material provided before heading to the laundry room. I chose to use the 2 trial packs in the test kit on a load of towels/socks and a load of light colored shirts. I followed the top-loading washing machine instructions and put 3 individual pacs in each load... the detergent, the booster, and the fabric softener. They were easy to handle and not messy at all. No measuring. Just toss in and close the lid! I did like that. After the wash/rinse/spin cycles were finished, I moved the freshly cleaned items to the dryers... set them and let them run their full cycles... about an hour. I was pleasantly surprised when I removed the items from the dryers. There was not a hint of any static cling. And there was no fragrance whatsoever. I had been expecting a fresh smell, but the DROPPS were true to the advertising of scent-free. I liked that, a lot! And I was very happy to find fluffy fresh towels and socks... and in the other load, clean and bright tees and tanks. 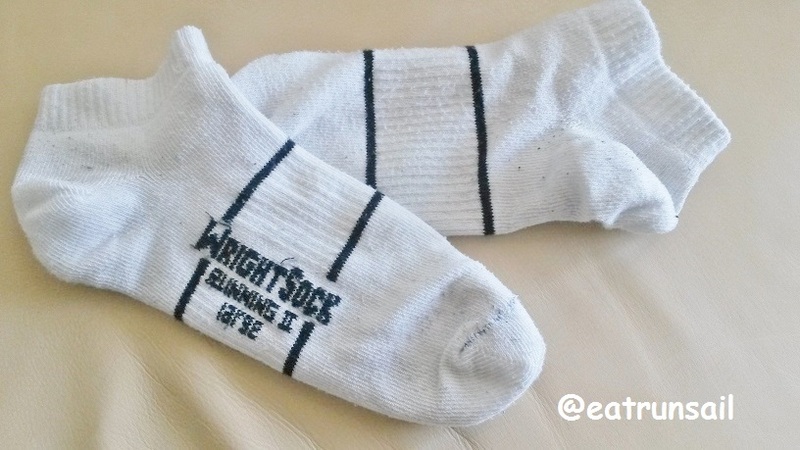 Just look at how clean these white socks look. Now keep in mind that these 2 pairs of white socks are my favorites... they are both a couple of years old and get worn at least once or twice a week for running and for tennis.... they look pretty good! And much better than they did when I put them into this wash, believe me! I should tell you that inside this sample box is a package of dishwasher detergent DPOPPS as well... I do not have a dishwasher so I gave them to a friend to try. She liked them. Obviously they are handy as well... open the pack and toss in a pod... no messy measuring... but they did a nice job of cleaning the dishes and the dishwasher was sparkling afterward as well. I urge you to have a look at the DROPPS web site and read about their product lines, 24/7 free shipping, bundle & save, reward program, and easy auto-ship ordering. Unfortunately, they do not currently sell to Canada. Darn, how will I get more of them? UPDATE - I have just learned that they are available for internation shipping from AMAZON. YAY! Would you like to try a sample of these DROPPS yourself? If you have a U.S. address, this giveaway is for you. Complete the entries in the Rafflecopter form below and I will select a winner after 12:01 a.m. on Wednesday, July 8th and announce it here on this post. I will also try to reach the winner by email... you will have 48 hours to respond or I will select an alternate winner. I do think I need these for my clothing. actually I need anything to help perk up my LEAST FAVE CHORE. Anything that will help with the husbands really stinky gym clothes is a winner to me! I'd pick the scent and dye free kit because I often have weird reactions to laundry detergent. 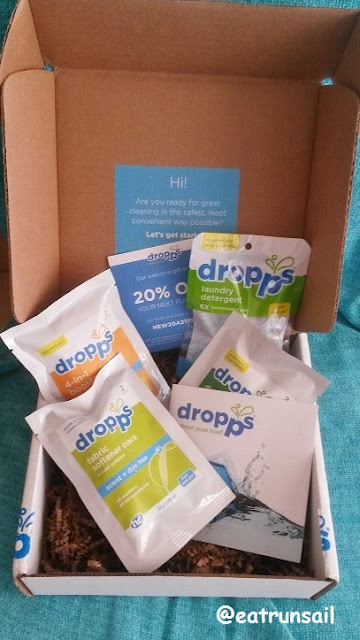 Thanks for sharing about DROPPS, I've never heard of them until now. Ugh, folding laundry is the absolute worst task ever. I appreciate when scent free really does mean scent free. We do have lots of laundry don't we!? 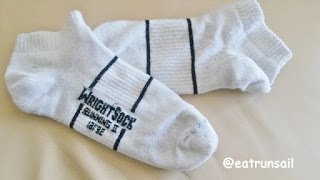 I've not seen this beans but you are right those socks look very white! I've never heard of these before! Where can you buy them? I also do not like laundry! My husband does it mostly. This sounds like a good product I've never heard of it before either. These sound great! Don't enter me though as I'll be away and won't be able to claim the prize if I win. My clothes would so appreciate this! <3 I like the sound of the Bestseller one (it's gotta be a bestseller for a reason! ;P )! i loathe doing laundry. I don't think anything could make it better. I am super jealous of the white socks, though! i have some great sports laundry detergent but i'm glad you found some you like! 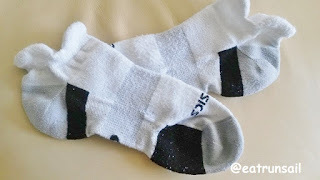 Wow, those socks are really white! Oh man. I was so excited about this until the 'don't sell to Canada' thing. Maybe one day! They're available in Canada on Amazon! I have a favorite sports bra that could seriously use Dropps! It may be too late to save ha! It's scary trying new products on the laundry scene, especially with all the sports clothing that has to be done. I would pick the best seller trial kit because it seems like the most popular! The Scent + Dye Free/Sensitive Skin Trial Kit because I have sensitive skin. You can't beat a Best Seller kit, but they all seem awesome. I would love to try Scent + Dye Free/Sensitive Skin on my white sofa cover.